Are you wowed by the Cloud? Progress is coming along with the 'skin' now attached to the skeleton of the so called 'Party Central'. 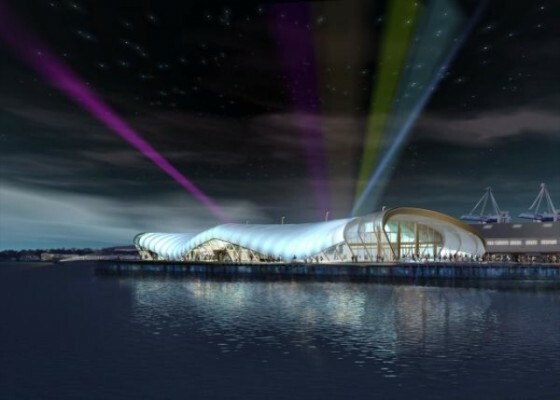 The development is on Queens Wharf with the intention of being a gathering place for rugby fans during the World Cup later this year. I'm leaving my verdict for when it's finished and it lights up. Progress on 'The Cloud', a photo by Mr Dewhurst on Flickr.